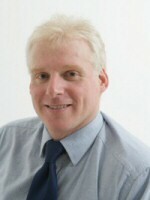 Adam is a consultant and consultant trainer with The Restoration Academy UK Limited. With over 25 years of experience, he is one of the most prolific trainers in the industry working with some of the most significant suppliers of products and services in our industry. Adam was a director of The National Carpet Cleaners Association for 5 years and has served on the UK Advisory Council of the IICRC (Institute of Inspection, Cleaning and Restoration Certification – an international standards and certification body for our industry). Adam worked as an expert witness/consultant for the BBC’s Watchdog/Rogue Traders program (aired on 4th November 2010) on an alleged carpet cleaning scam and advised the BBC on a pilot program which was to include a carpet identification challenge. Adam is a Member of the British Institute of Cleaning Science (BICSc) and holds memberships with The British Damage Management Association (BDMA), Indoor Air Quality UK (IAQUK), Institute of Safety and Health (IOSH) and is a Member of the Institute of Specialist Surveyors and Engineers (ISSE).